Windows Tutorials, Howtos, and More! Windows Tutorials and Howtos. Step by step descriptions and useful information. 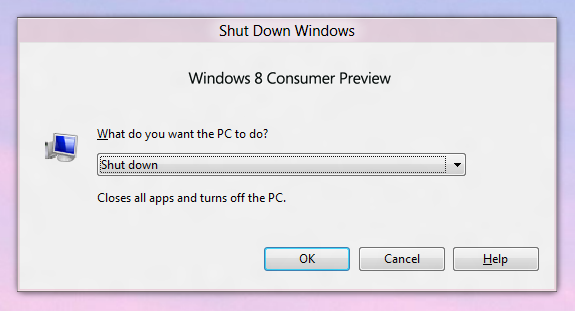 As you probably know, Windows 8 brings with it a new Start Screen and does away with the old Start Menu. 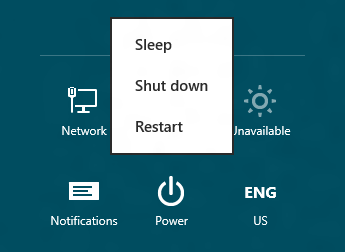 The old Start Menu contained the shutdown and restart functions, so those had to be moved elsewhere. Click Read more to see how to access the power functions. The shutdown and restart functions are now located in the Charms bar. This is activated in many ways. The easiest way is to move your mouse to the bottom right corner of the screen and move the mouse up. If you are using a tablet, simply swipe your finger in from the right edge of the screen. You can also activate the charms bar by pressing Windows+C on your keyboard. Next, click on Settings. The power options along with the network, volume, brightness, notification, and language settings are present. 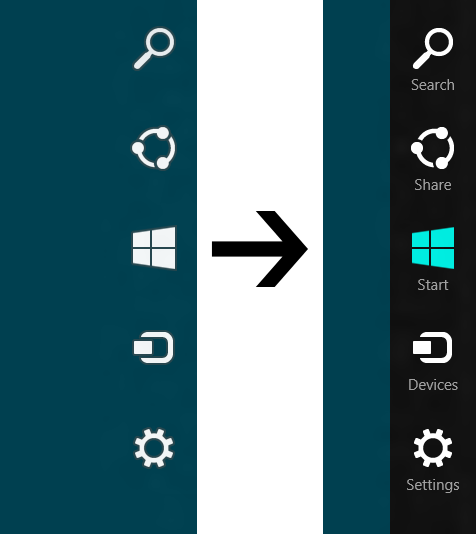 A quick way to get directly to this page is to press Windows+I on your keyboard. Another quick way of accessing power options is to click either on the taskbar or the desktop and press ALT+F4. 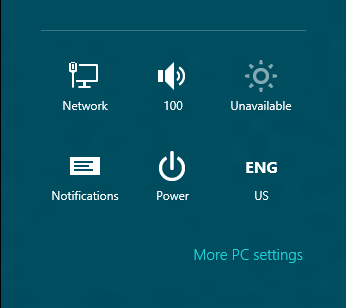 This brings up the following screen with power options. This is also available earlier versions of Windows such as 7, Vista, and XP. Cool blog you got here and thank you for the valuable information. This is truly a great read for me and definitely be back to read some more. Success is a choice not a dream. So, work hard for it and always be open-minded. Visit my site for more information. Have a good day and keep on moving forward for that success. Nintendo DS Backups and Homebrew Howto!